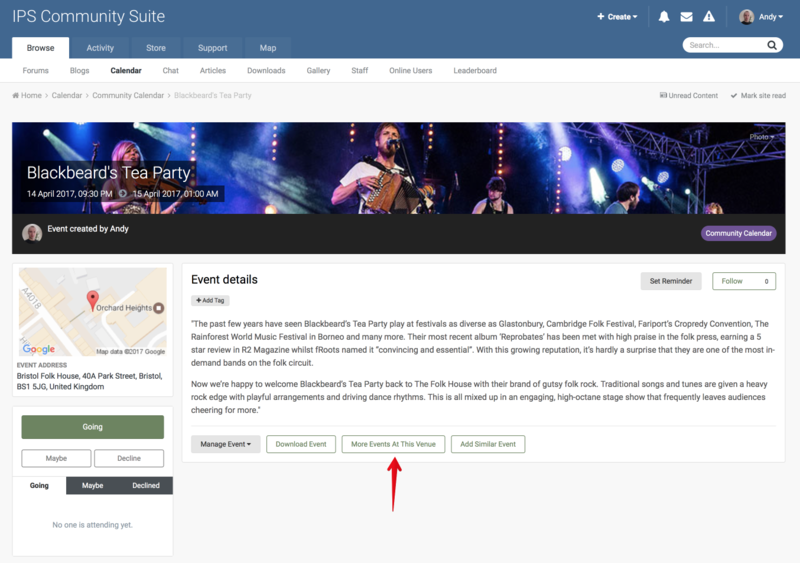 Following on from our previous news entry "Add Similar Event" we are pleased to announce another feature that will make adding and discovering new events as easy as possible. Support for geographic event locations has been in Calendar for some time now but with 4.2 we have taken this a step further with venue support. 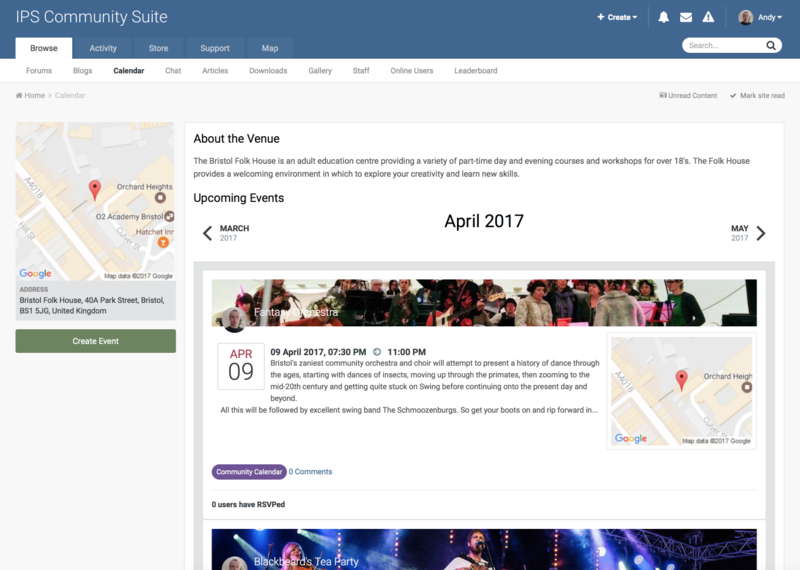 When enabled, members can set the event location from a list of pre-defined venues. Address details and maps will then be automatically shown in the event view. Additionally, a link will be added so that other events occurring at this venue can be discovered. If a venue has not already been added then a fallback to the standard address form input is provided. We have a few more Calendar improvements still to reveal so be sure to follow News & Updates for further announcements.